BMW Motorrad's flagship adventure bike, the BMW R 1200 GS Adventure has a strong brand equity, road presence and a reputation as the go-anywhere cross-continent tourer. We take a look at how it compares to established rivals in India - the Ducati Multistrada Enduro and the Triumph Tiger Explorer XC. BMW Motorrad has opened doors to its official dealerships in India, and what the motorcycle touring crowd will be looking at with a lot of interest is the big daddy of adventure bikes - the BMW R 1200 GS Adventure. Over the years, the R 1200 GS has established a name for itself as the ultimate touring bike with globe-trotting credentials as well as the hardware and goods to tackle the rough when the tarmac ends. But the GS has strong contenders in India, with established brands and products. 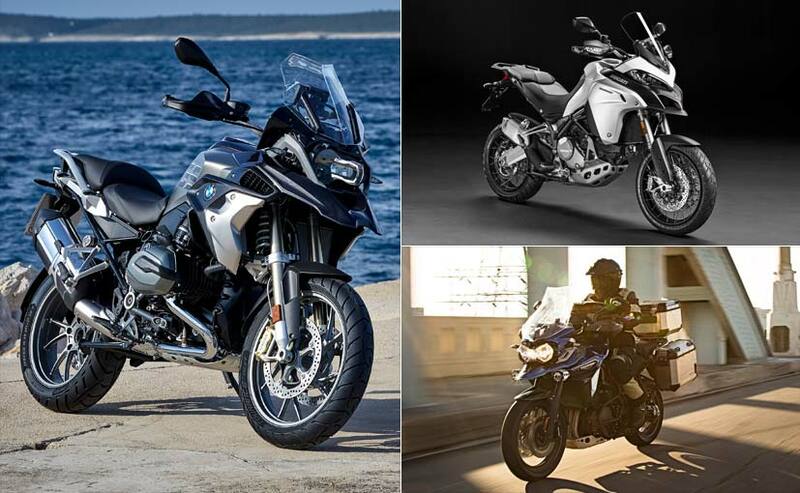 In India, the R 1200 GS will compete with rivals such as the Triumph Tiger Explorer XC and the Ducati Multistrada Enduro (also the winner of the NDTV CarandBike Motorcycle of the Year 2017 - Above 1000 cc) award. Is BMW already late to the 'adventure' game in India? Here's a look at the three bikes on paper and see how they stack up against each other. The BMW R 1200 GS has a commanding road presence, with its butch, 'built-like-a-tank' personality which clearly makes the BMW stand out in this comparison. The massive 30-litre fuel tank on the GS Adventure model seems overkill, but actually it may be quite helpful for the long hauls in the back of beyond. (Think interior Ladakh or even Central Asia or Alaska). For 2017, the GSA gets updated electronics too, with the top variant getting multiple riding modes (the standard variant gets just Rain and Road modes). So, there are Dynamic, Dynamic Pro, Enduro and Enduro Pro modes as well. Additionally, there's lean-angle dynamic traction control, hill start control and ABS Pro. And then there's also BMW's Dynamic ESA electronic suspension which adjusts damping to the riding situation and also has automatic spring pre-load adjustments. The standard variants just feature the more basic Automatic Stability Control traction control system. The Ducati Multistrada Enduro has immense road presence too, combining the trademark Ducati style and sophistication with purpose-built off-road components. It is rugged, but sleek and stylish at the same time. 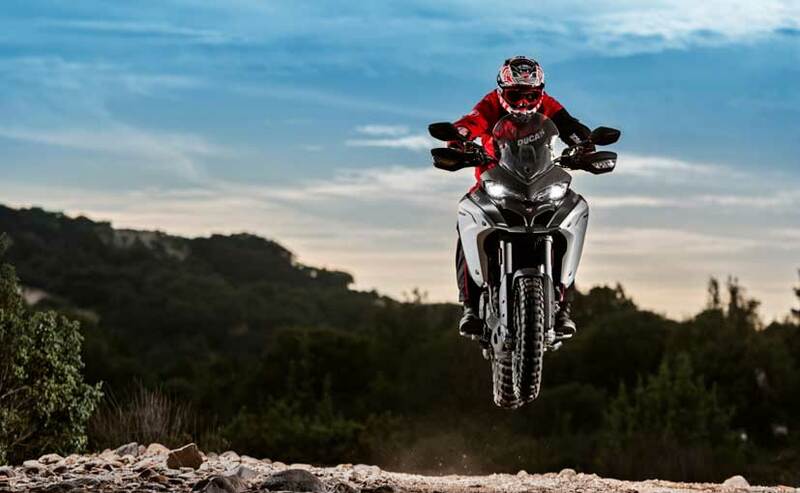 The Multistrada Enduro comes well-equipped, with cornering ABS, Ducati Wheelie Control, Ducati Traction Control, Vehicle Hold Control and a full colour TFT screen with a new Multistrada Link which connects to the app which records parameters like speed, lean angle, fuel consumption and more. Electronic semi-active suspension adjusts to any terrain and riding style, and the powerful testastretta engine offers optimised power and torque through the rev range. 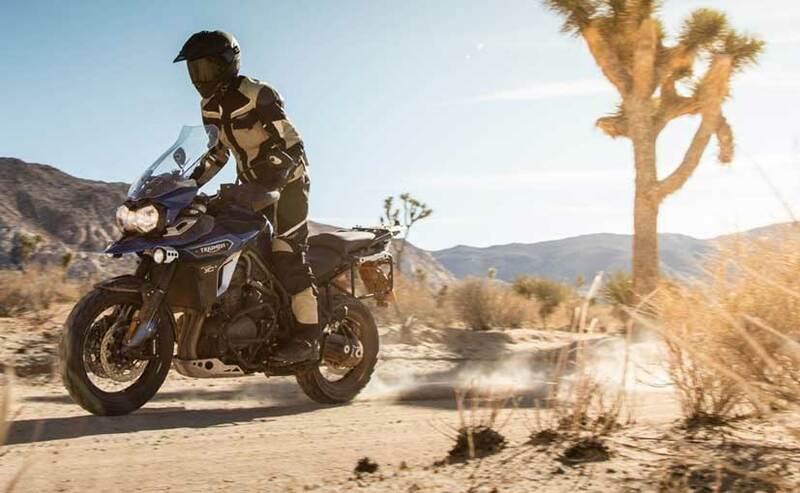 The Triumph Tiger Explorer offers the same typical adventure design with large, spoked wheels, high front beak and twin headlights. The Triumph also has a smaller 20-litre fuel tank which limits range, but frankly you wouldn't be riding the full range of a 30-litre tank in one go anyway. In terms of equipment, the Explorer XC, which is the only variant on sale in India, offers ride-by-wire and two riding modes - Road and Rain. There are no additional electronics, no semi-active suspension, but the Tiger Explorer XC does offer standard ABS , traction control and cruise control. 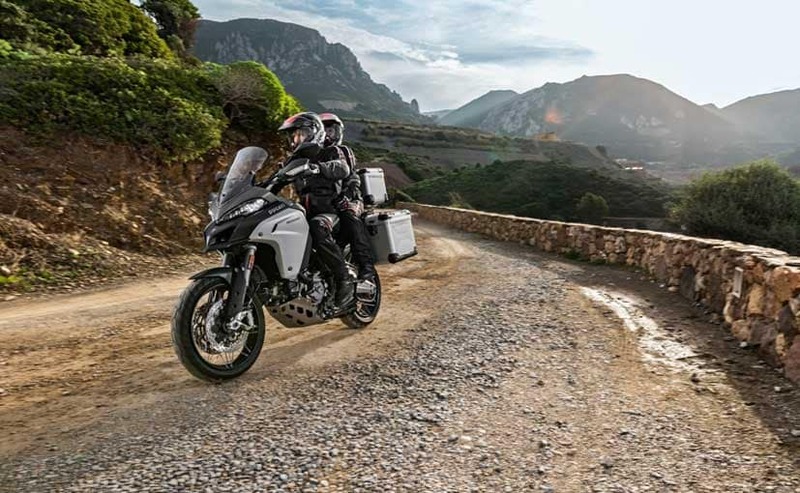 In this comparison, the Tiger Explorer XC feels dated and old-school, at least on the features list, when compared to the BMW R 1200 GS Adventure and the Ducati Multistrada Enduro. Each bike in this comparison has completely different engine architecture. The Ducati follows a traditional v-twin approach (called the L-twin with variable valve timing) and the Triumph gets an extra cylinder with an in-line three engine. The BMW also gets a twin cylinder engine, but with horizontally opposed cylinders (called flat twin, or boxer twin). On paper, the Multistrada Enduro has the most power output, the L-twin kicking out 158 bhp and 121 Nm of torque. The testastretta L-twin is known for its impressive performance and high power output and that should be reason enough for those seeking performance. The Tiger Explorer comes in second place, making 135 bhp at 9,300 rpm and 121 Nm of torque at 6,400 rpm. The in-line triple of the Tiger is known for its refinement and linear power delivery, and it still retains its reputation as one of the most refined mills with exceptional highway manners for long distance cruising. The R 1200 GS Adventure brings up the rear, at least on paper with 123 bhp and 125 Nm of torque. But both the maximum power and peak torque of the BMW kick in at lower rpms than both the Ducati and the Triumph, so there should be more usable power and torque on the BMW. 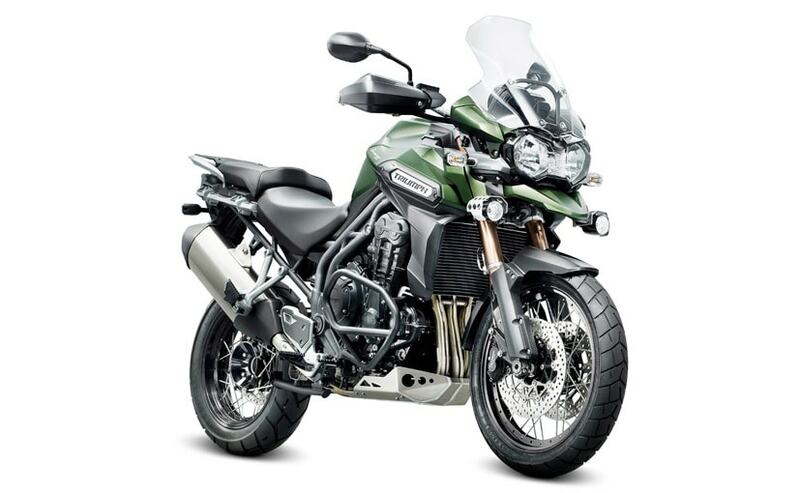 The Triumph Tiger Explorer has established itself as a very capable long-distance tourer, and more than anything, it's the refined engine, rock solid stability, and easy to use nature which make the Triumph such a favourite, although it's the smaller 800 cc Tiger which is more popular, at least in India. At Rs 21.40 lakh (ex-showroom), the top-of-the-line BMW R 1200 GS Adventure is the priciest in this comparison. If you're not concerned with the top-of-the-line farkles or even multiple "pro" riding modes, then the standard variant also makes very good sense at Rs 17.50 lakh (ex-showroom Delhi). Comparing the base variants, the Triumph Tiger Explorer seems to be the most expensive at Rs 18.75 lakh (ex-showroom Delhi). The BMW may be the king of brand equity as far as adventure bikes are concerned, but at least on paper, the R 1200 GS has stiff competition, particularly from the Multistrada Enduro. 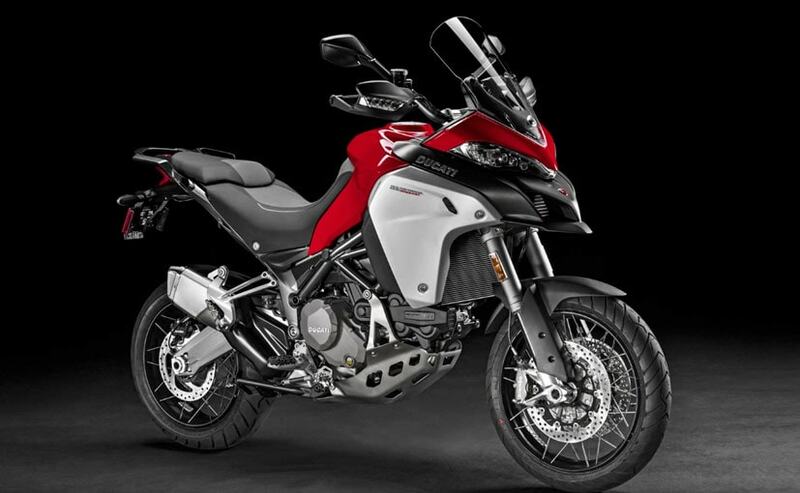 What the Multistrada Enduro offers in terms of performance, features and technology, the Rs 17.44 lakh (ex-showroom Delhi) price of the Ducati suddenly makes it look very attractive, and offer even more value than the top variant GS Adventure. The Ducati also has a sporty personality along with a desirable brand image, which make it a difficult to ignore in this super adventure specification comparison. 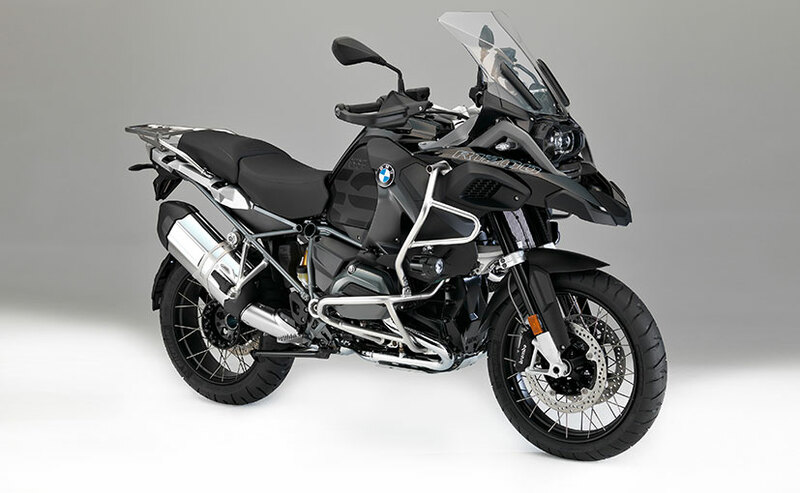 Coming to the big Beemer, the main differences between the GS and the GS Adventure are more suspension travel, OEM engine guards, spoked wheels, a cushier seat and a bigger windshield for better weather protection on the GSA. Of course, it gets a larger fuel tank (the standard GS gets a 20-litre tank while the GSA gets a 30-litre tank) and the GS gets cast aluminium wheels. But if you look at the prices, which start from Rs 15.90 lakh for the base BMW R 1200 GS, going up to Rs 19.50 lakh for the GS Pro, then the big Beemer suddenly makes very good value for money indeed. And in the world of adventure bikes, the BMW badge does command immense reputation.